Some Democrats Ask: Now That Mueller’s Over, Where Are Trump’s Tax Returns? 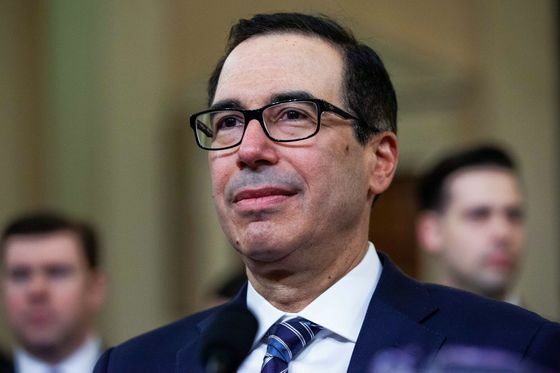 (Bloomberg) -- Democrats who were hoping the completion of the Mueller report would speed up the effort to request President Donald Trump’s tax returns may be disappointed. 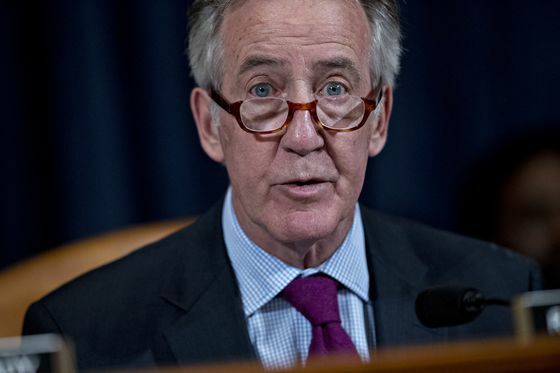 House Ways and Means Chairman Richard Neal is being pulled in two directions, by progressives to quickly demand Trump’s personal returns from the Treasury Department and by some moderates to wait for the full special counsel’s report before proceeding. A Democratic aide, speaking on condition of anonymity, said Neal may be facing new pressure from moderate Democrats who want to read the full report from Special Counsel Robert Mueller before making the request. The report may not be delivered to Congress for weeks. And some progressive groups have gone so far as to threaten a possible primary challenge to Neal, a Massachusetts Democrat first elected to the House in 1988, if he doesn’t speed up the request, which falls under his unique powers as Ways and Means chairman. But even though Mueller’s report seems to close a major line of inquiry into malfeasance by the president, House aides say the chairman and his allies are unlikely to rush their own investigation. A summary of Mueller’s report was delivered to Congress on Sunday. The report concluded that the Trump campaign didn’t work with Russians on their interference in the 2016 campaign, according to the summary by Attorney General William Barr. Neal has said for months that he will request Trump’s returns but that he first wants to establish solid legal grounding in advance of what’s sure to be a contentious battle with the White House and Treasury Department. The law gives Neal, along with the Senate Finance Committee and the Joint Committee on Taxation, the ability to request the returns of any taxpayer, though some legal scholars believe the request needs to have a legislative purpose -- a relatively easy-to-meet requirement that can include executive-branch oversight. Even before the Mueller report was concluded, progressive groups expressed frustration that Neal hasn’t made the request. Now, some such groups say seeing the tax returns has become even more urgent. “We’ll certainly be doubling down on those demands moving forward,” said Josh Nelson, co-director of Credo Action, which describes itself as a grassroots progressive organization. “We deserve to know if the president committed tax fraud or campaign violations,” Nelson said. So far, Neal seems immune to the pressure. He has preferred to focus on other priorities for his committee, such as potential changes to the 2017 tax law. Speaker of the House Nancy Pelosi hasn’t yet pressured Neal to act. Last week, Neal told reporters in Boston that he expected his request to result in a court case and didn’t want to “succumb to the emotion of the moment.” He expressed frustration that the media is focused on Trump’s returns “as opposed to some of the substantive problems that accompany many of the other issues as they relate to the American family” before reiterating that he intends to ask for the returns. 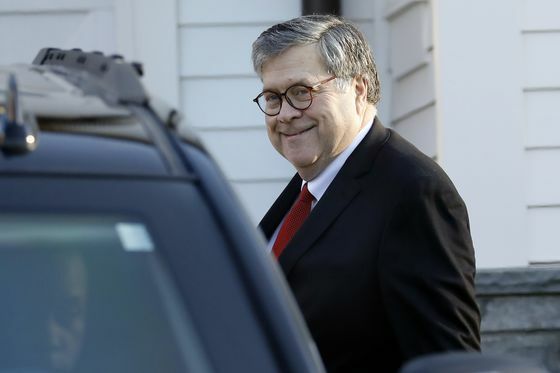 Barr’s summary said that Mueller didn’t conclude either way on the question of whether the president obstructed justice, but Barr and Deputy Attorney General Rod Rosenstein decided there wasn’t sufficient evidence to prove such a charge. Barr’s four-page letter didn’t address whether Mueller’s team saw or investigated Trump’s tax returns. Trump broke with 40 years of tradition when he declined to release his personal returns as a presidential candidate. Some Republicans are already suggesting that Neal’s pending request is more politically motivated than a genuine effort at oversight. “Those seeking an individual’s personal tax returns to exact political damage would be opening the door to future abuses of power and would poison the public trust in the ability of the IRS to keep personal information private. That’s an outcome every taxpayer and their elected representatives should want to avoid,” said Michael Zona, a spokesman for Senate Finance Chairman Committee Chuck Grassley, an Iowa Republican. The Ways and Means Committee in 2014, then under the auspices of Republican chairman Dave Camp, publicly released taxpayer information in connection with its investigation into the alleged targeting of Tea Party groups by the Internal Revenue Service.